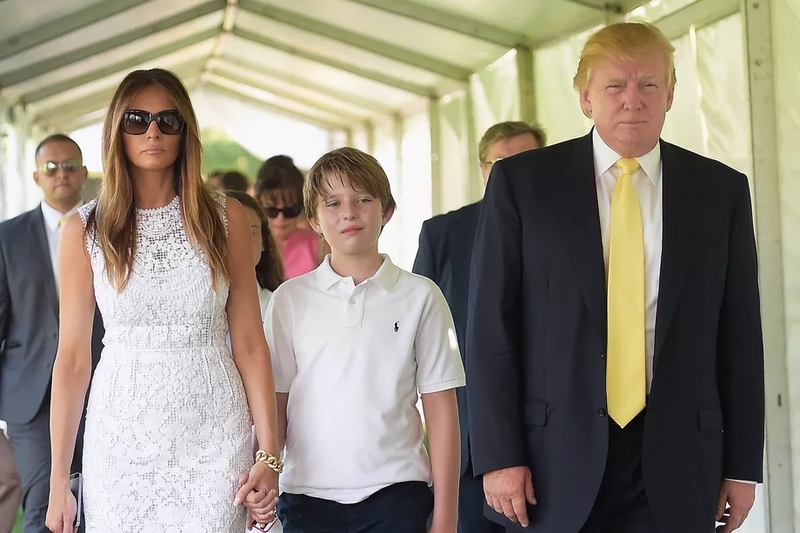 This image apparently shows Barron Trump standing next to his father, while wearing an "I'm With Stupid #swedenincident" shirt. I can't find any info. Did this happen? I found the image in whatsapp group. 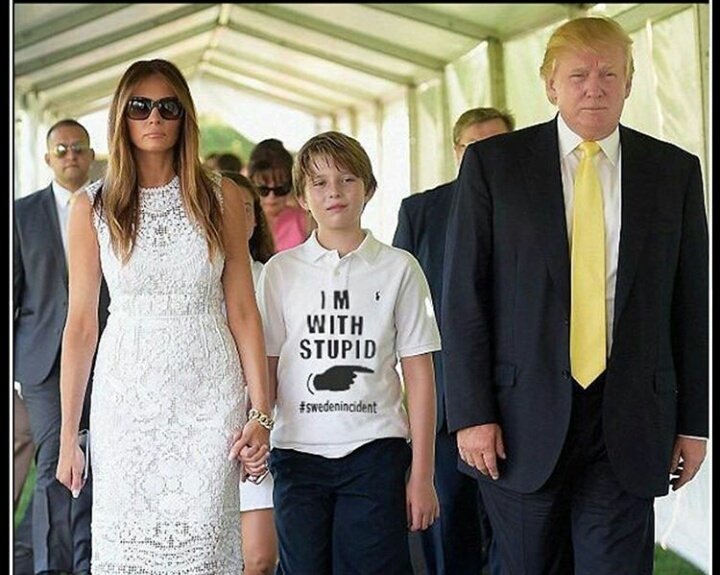 In google I find large image with keyword "I'm with stupid donald trump". I got this image. I tried to find more info on the web and couldn't find it. No, it is (unsurprisingly) a fake. A Reverse Image search via Google finds the original 2016 version of it, attributed to Gustavo Caballero/Getty Images, before the slogan was edited in.